This is the first in a periodic feature highlighting members of the Historical Society board. We asked them to answer the question, “Why does history matter to you?” and to tell us a little about themselves. Karin Bisbee: “I’ve always loved a good story. My parents often found me tucked away with my nose in a book, preferring novels to television shows. As I got older, I applied my love of language to writing. Although I studied English literature at Messiah College, I loved history and political science classes too. History often gets a bad rap as boring memorization of dates and places, but it’s so much more! History captures the stories of real people across the ages. Since I was not born into the Brethren in Christ Church, I am an Anabaptist by choice. Over the last 10 years I have especially enjoyed digging into the roots of this faith tradition. Working at Messiah Lifeways at Messiah Village for over a decade has introduced me to many retired missionaries and pastors whose stories have left an indelible mark. It’s an honor to serve on the board of the Historical Society as we seek to preserve our heritage and engage younger generations with the convictions and precious stories that continue to shape our beliefs.” Karin and her husband Dan have been married for 19 years and have two children, Noah, age 12, and Sarah, age 7. They live in Mechanicsburg, PA and attend Grantham Church. 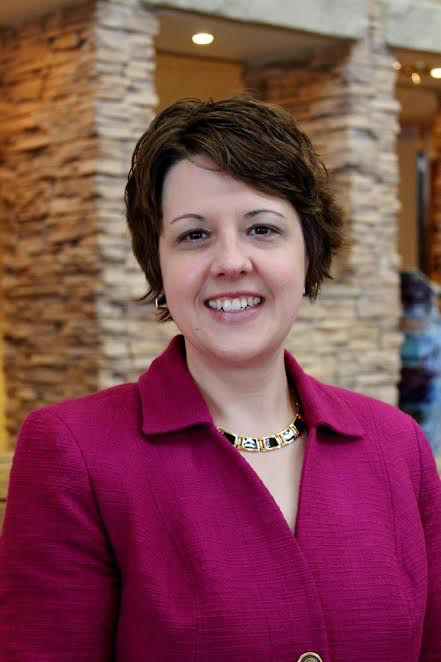 She works at Messiah Lifeways as a strategic communications specialist. John Dietz: “History matters to me because I grew up in the home of a man who loved history and talked a lot about it. So it was nurture as well as nature. I grew up appreciating the faith and practices of my elders and am enjoying seeing that same faith in the Lord now being passed down to my grandchildren. I am a member of the Lancaster district of the Old Order River Brethren and serve as one of the nine song leaders. 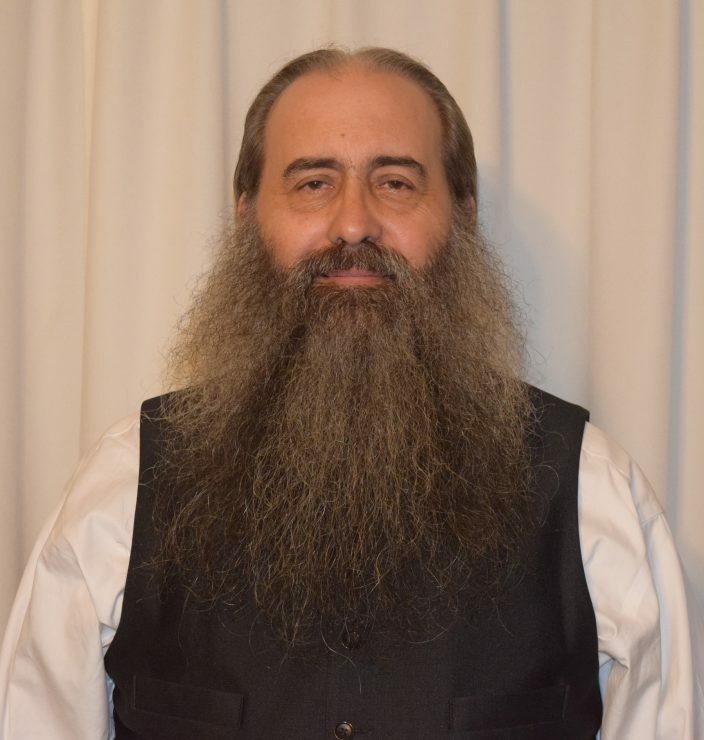 I live close to where the Old Order River Brethren started in York County and not far from the historic home of Jacob Engle, one of the founders of the River Brethren, which became the Brethren in Christ.” John and his wife Janet (Funk) have been married for 39 years and have one daughter, six sons, and 13 grandchildren. He is employed as a therapeutic staff support worker by Wellspan Philhaven and is also a certified organic crop farmer. Give the Gift of History at Discounted Prices! Celebrations and Convictions: Honoring the Life and Legacy of Dr. Luke L. Keefer, Jr. Planting Seeds: A Missionary Story, by Grace Herr Holland. Worthy of the Calling: Biographies of Paul and Lela Swalm Hostetler, Harvey and Erma Heise Sider, and Luke Jr. and Doris Bowman Keefer. 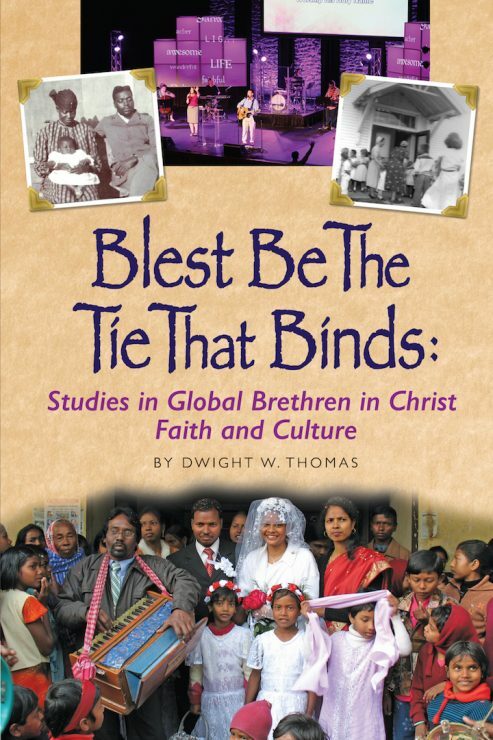 You can order Blest Be The Tie That Binds online or by mail. For mail order, send your order with a check payable to the Brethren in Christ Historical Society, One College Ave., Suite 3002, Mechanicsburg, PA 17055. Please add $2.60 for postage for one book ($3.20 for Blest Be The Tie That Binds), and $1.00 for each additional book. Zion Brethren in Christ Church in Abilene, KS has been a “lighthouse” in the Dickinson county community for 130 years. Established in 1887, the original meeting house, which had separate entrances for the men and the women, served its congregation for over 60 years. 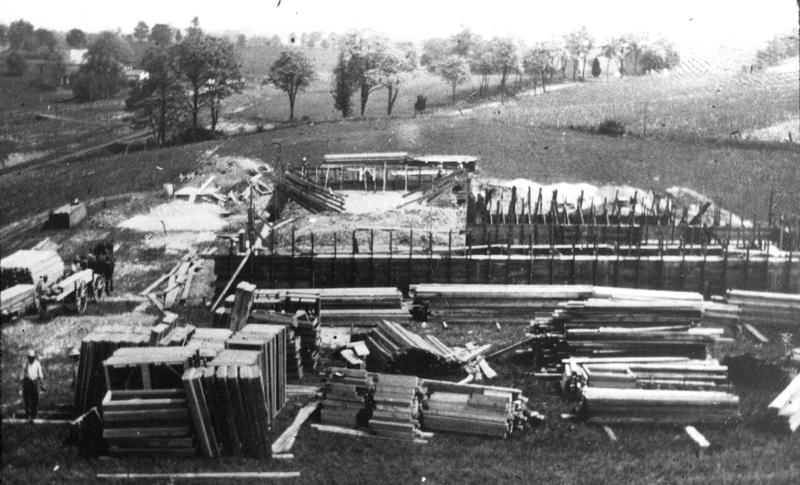 In 1948, a decision was made to tear down the original building and build a new church. The congregation worked together, giving their time, energy. and finances to build the new brick building. 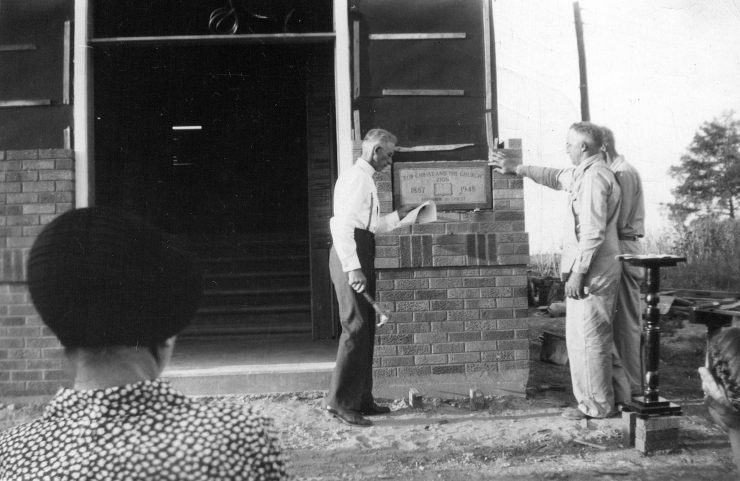 Bishop M. M. Book and Mike Engle place the cornerstone on September 21, 1948. On September 21, 1948, a custom made copper box was sealed behind the cornerstone containing letters, documents, publications, a Bible, and a hymn book. The new building was finished later that year and dedicated on February 6, 1949. On June 23, 2017, in conjunction with the 130th anniversary of Zion, the cornerstone was removed to reveal the copper box and its contents. Zion members and friends gathered to witness the process. The items inside were: a Bible owned by Bishop M. M. Book, given to him by his wife on December 25, 1939; a hymn book published in 1935; a copy of The Youth Visitor, dated September 19, 1948 as published by the E.V. Publishing House, Nappanee, IN; a copy of the Sunday School Herald dated September 19, 1948; an adult quarterly Sunday school lesson book dated April, May, June 1948; a copy of the Evangelical Visitor dated September 20, 1948; a document of the history of the Zion Church; a record of the Zion Sunday school, dated September 21, 1948; information concerning the building of the new church; five pictures of the original church meeting house; and a letter of greetings to “whoever opens this box” dated September 21, 1948, signed by M. M. Book, and C. A. Frey. Also included was a letter concerning the cornerstone-laying service. The letter was apparently placed in the box when the stone was removed and replaced because of blemishes to the stone sometime before the dedication service in 1949. Ron Frey, Steve Hoover, and Colby Norman (child) examine the copper box. Current Zion Pastor Jay Johnson read the letter of greetings to those in attendance. The letter began and ended with these words: “Greetings in the name of Jesus to the dear ones who may someday open this box and read its contents. . . . It is with pleasure, on this day of September 21, 1948 that we place carefully and securely the record of greetings for those who follow after us as we have followed the pathway of our fathers.” The items were photographed, copied, and are currently on display for all to see. On Sunday, June 25, 2017, the original documents were returned to the copper box along with items from the 125th celebration in October 2012: a “time capsule” record prepared by the youth group in 2012; a cookbook produced in 2012; a copy of the recipe for communion bread which is still made and used today at Zion; a copy of the Life Book from the Gideons that Zion uses for evangelism; a book written by Laurie Raser Frey for Zion’s centennial year in 1987. 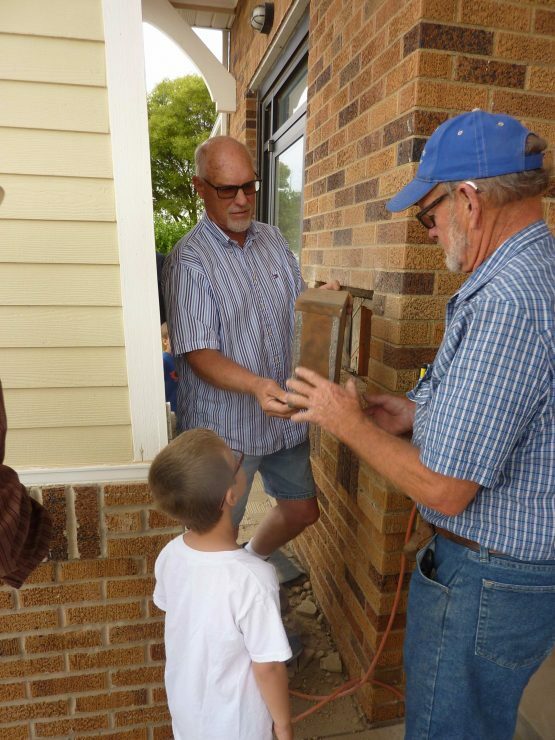 A letter from Pastor Jay Johnson was read and then also placed in the box for whoever will open it in the future. The Bible and hymn book were not returned to the copper box, but placed in a shadow box display to remain at the Zion Brethren in Christ Church for future generations to see. Postscript: At the 130th anniversary celebration service on September 24, 2017, Pastor Jay Johnson reminded attendees of the many ways that the congregation has contributed to the community and the Brethren in Christ Church as a whole. He noted all the missionaries, pastors, and denominational leaders with roots in the Zion congregation. Several special guests attended as well, including Bishop Perry Engle, BIC US National Director Alan Robinson, and several descendants of former Bishop Millard G. Engle, C.A. Frey, Sr., and Samuel Zook. A’Lisa Johnson serves with her husband Jay at the Zion Brethren in Christ Church. “I am puzzled. 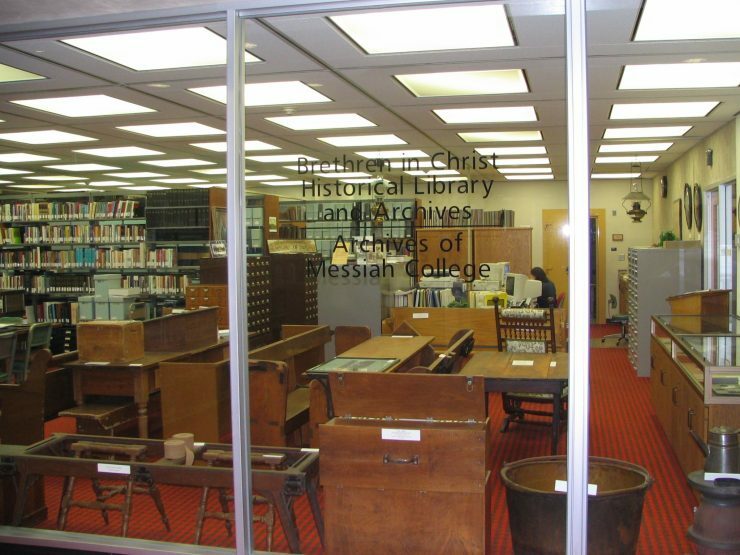 What is the relationship between the Historical Society and the Brethren in Christ Archives?” For a number of years, understanding the difference between the Brethren in Christ Historical Society and the Brethren in Christ Archives really wasn’t too critical. From 1979 to 2000, E. Morris Sider wore two hats: leading the Historical Society and serving as denominational archivist. Since 2007, Glen Pierce also wore two hats: Executive Director of the Society and denominational archivist. Now, with the July 2017 naming of Micah Brickner as the Historical Society’s Executive Director, understanding the differences between the Society and the Archives is becoming more important. The two mission statements help to illustrate the basic differences. The Archives: “The mission of the combined Brethren in Christ Historical Library and Archives and the Messiah College Archives is to collect, preserve, organize, describe, and make available records of historical, legal, fiscal, and/or administrative value to both Messiah College and the Brethren in Christ Church, including selected ‘Special Collections’. 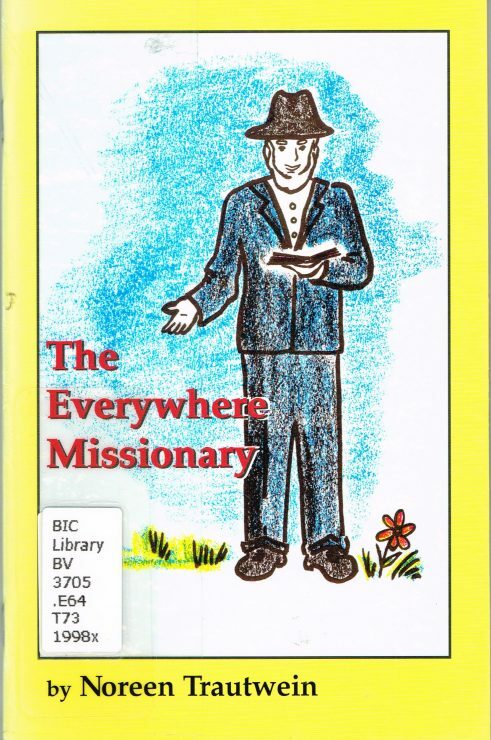 placed in the Archives by individuals and families.” The term “special collections” refers to personal papers of missionaries, church leaders, and others in the church. Included in the Archives holdings are a collection of books and museum artifacts related to the church, plus thousands of photographs, audio recordings, and other documents that reflect the life and ministry of the church and college. Glen Pierce continues to serve as Director of the joint Brethren in Christ and Messiah College Archives. The Historical Society: The mission of the Brethren in Christ Historical Society is “to nurture understanding and appreciation of the historical, theological, and contemporary life and thought of the Brethren in Christ and related groups.” This is accomplished in various ways, such as publishing this newsletter and the journal Brethren in Christ History and Life, commissioning and publishing books, developing new social media platforms such as the Society’s Facebook page and blog, and holding events such as the annual Heritage Service at the Ringgold Meetinghouse and the Society’s annual meeting. 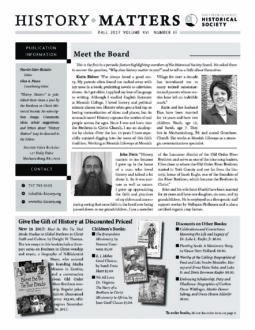 Micah Brickner is just beginning his role as executive director of the Society and Harriet Sider Bicksler continues in her role as the editor for the Society. Unlike some denominations in which the archives are owned and operated by that denomination’s historical society, there is no direct operational link between the two Brethren in Christ entities. However, this newsletter is a joint publication of the Historical Society and the Archives. Researchers and writers use documents in the Archives in preparing journal articles and books published by the Historical Society. As a way of ensuring the close working relationship between the two, the Archives director is an ex officio member of the Historical Society’s board of directors. And the Archives address has been chosen as the official legal address for the Historical Society. So, if you want to … … donate diaries or photo albums documenting a relative’s service as a missionary or church worker, contact Glen at the Brethren in Christ Archives at the address below. … submit an article for Brethren in Christ History and Life or have an idea for a book that should be published, contact Harriet. … suggest an event that could be sponsored by the Historical Society, such as a tour of historic places in Lancaster County, contact Micah. And if by some chance you happen to mail those diaries to Harriet, or contact Glen at the Archives with a suggestion that Micah needs to hear, or send Micah a question by email that Harriet as editor needs to answer, never fear. Micah, Harriet, and Glen check in with each other all the time. We’ll get everything straightened out in the end. The Brethren in Christ Historical Library and Archives (shown in the photo above) is located on the lower level of the Messiah College library in Grantham, PA. You can contact the Archives at One College Ave, Suite 3002, Mechanicsburg, PA 17055; email: [email protected]. In the Summer 2017 edition, we said that Bill Hoke and Charles Engle are the only two former missionaries to reach their 100th birthdays. 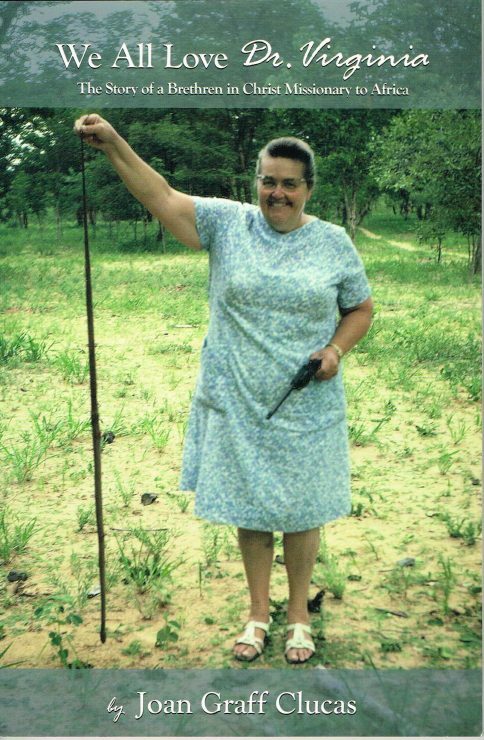 In fact, Esther Thuma Mann Teunon, former missionary to Zambia and Zimbabwe, turned 100 in January 2013, a month before she passed away.